In the month of March 2019 Staat van Beleg could list 848 human rights violations (and 178 reports/ analyses). 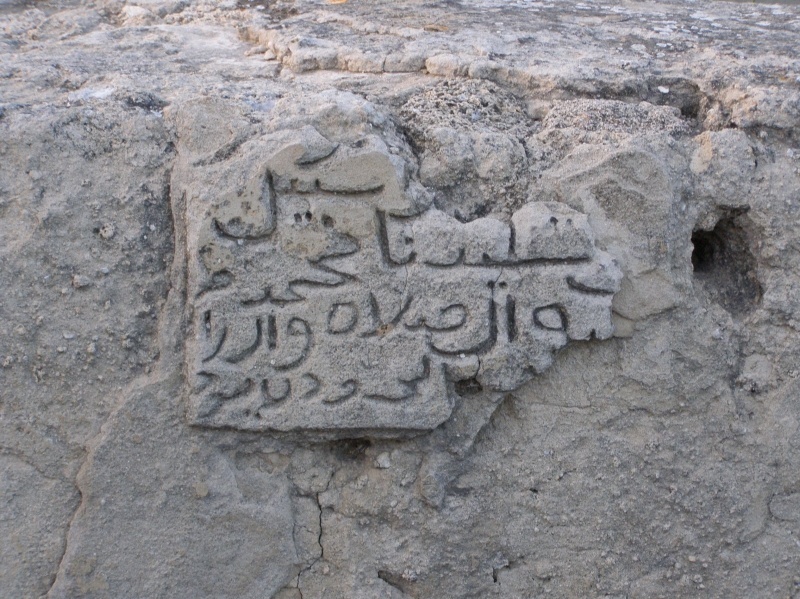 (see our archive) This month a focus on the erased Palestinian village Simsim. When the people of Gaza that are participating in the Great March of Return are talking about their right of return they are mainly referring to the villages from where they were displaced. Few people will know that from the estimated 2,219 that were killed during the Israeli offensive against the Gaza strip in the summer of 2014 half of the Palestinians were refugees, displaced since the Nakba in 1948. 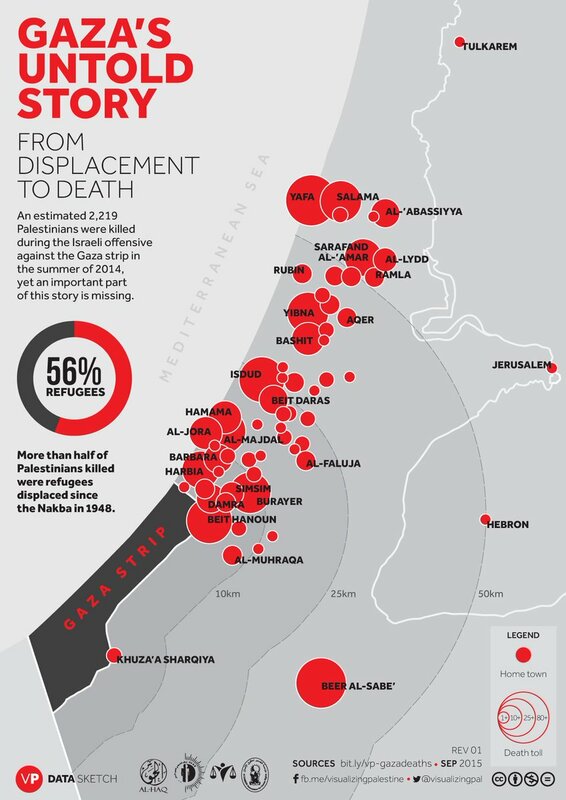 Of Gaza’s 1.9 million inhabitants almost 70% are refugees whose families were expelled in 1948 from territory that became Israel. 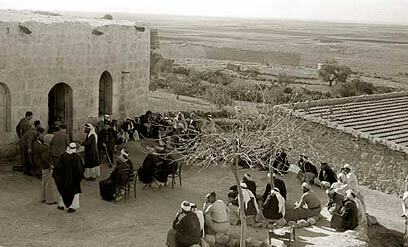 Between 1948 and 1952 circa 615 Palestinian localities were erased or depopulated. Some places were entirely destroyed and left uninhabitable and others were left with a few hundred residents and were repopulated by Jewish immigrants, then renamed. 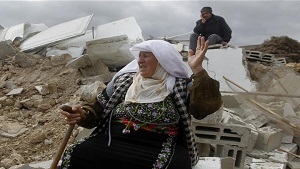 Today Israel still erases Palestinian villages. A good example is the Bedouin village Umm al-Hiran which will soon be vacated after years of legal battles. In this photo report we can see how the women of the village are documenting life in their village so that they’ll never forget it. De-Colonizer, an Israeli NGO, created a map that shows the Palestinian, Jewish and Syrian localities destroyed since the beginning of Zionist migration (end of 19th century). One of the erased Palestinian villages is Simsim which is on a walking distance to the current separation fence between Gaza and Israel. We will tell the story of Simsim while keeping all the other erased Palestinian villages in mind. Simsim, known to the Crusaders as Semsem, was a Palestinian village, located 15 kilometers northeast of Gaza. It was depopulated just prior to the outbreak of the 1948 Arab-Israeli war. 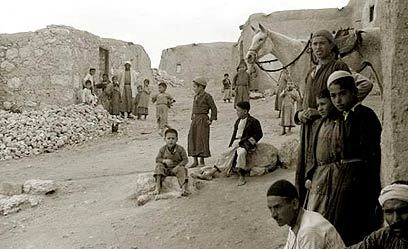 On 12 May 1948, pre-state Israeli forces expelled the villagers, along with those of the neighboring village of Najd. 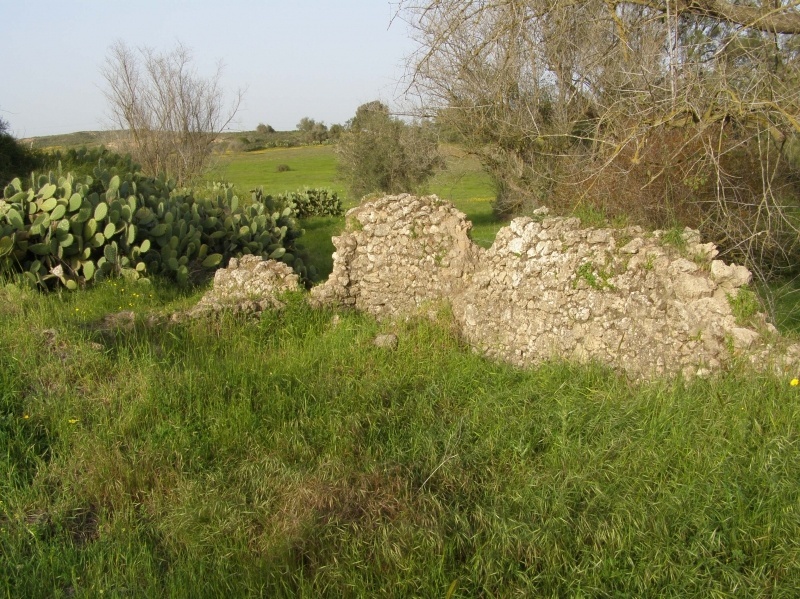 Simsim contained two archaeological sites known locally as ar-Ras and Sha’fat al-Mughur (the latter of which contained a Roman cemetery). Byzantine ceramics have been found here. Simsim was incorporated into the Ottoman Empire in 1517 with all of Palestine, and by 1596 it was part of the nahiya(subdistrict) of Gaza under the liwa’ (district) of Sanjak of Gaza, and it had 20 Muslim households, an estimated population of 110. They paid a fixed tax rate of 33,3% on a number of crops, including wheat, barley and fruit trees, as well as on goats and beehives; a total of 6,800 acre and 14/24 of the revenue went to a waqf. In 1838, Simsim was noted as a Muslim village in the Gaza District. In June 1863 Victor Guérin found the village to contain five hundred inhabitants. Surrounded by trees, the village had tobacco and sesame plantations. An Ottoman village list around the year 1870 indicated 69 houses and a population of 119, though the population count included only men. In 1883, the Palestine Exploration Fund’s Survey of Western Palestine described Simsim as being surrounded by gardens. It had a well, a pool, and an olive grove that was planted to the north. Karl Baedeker and his travelling companions writing in 1894 are more specific, noting that the village is located in an olive grove and that tobacco and sesame are the principal crops grown there. In the 1922 census of Palestine conducted by the British Mandate authorities, Simsim had a population of 760 inhabitants, all Muslims, increasing in the 1931 census, when Simsim had a population of 855 Muslims in 195 houses. In the 1945 statistics, the population of Simsim consisted of 1,290 Muslims and 70 Jews, while the total land area was 16,797 dunams, according to an official land and population survey. Of this, a total of 240 dunams were used for citrus and bananas, 252 dunams were plantations and irrigable land, 15,582 for cereals, while 44 dunams were built-up areas. During the 1948 Arab–Israeli War, the villagers of Simsim, together with the surrounding villages, were driven out by soldiers from the Negev Brigade on 12–13 May 1948 as part of Operation Barak. In Simsim the occupying troops found only a handful of old people. They blew up five houses and warned that if the village’s weapons were not handed over the following day, they would blow up the rest. But the inhabitants repeatedly returned to the village, either to resettle or to cultivate crops. At the end of May, a Negev Brigade unit, with orders to expel “the Arabs from Simsim and Burayr and burn their granaries and fields”, swept through the villages, encountering resistance in Simsim, and killed 5 inhabitants (or, according to another report, 20) and blew up granaries and a well. 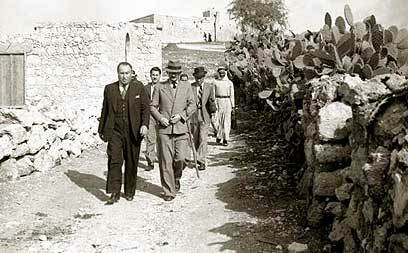 The Israeli troops returned to Simsim yet again on 9 or 10 June 1948, again burning houses and skirmishing with Arabs. Nowadays the Palestinian villages are largely ignored or marginalized in the information given to the public. In the paper ‘Roots Tourism – Whose Roots?‘ we can read how the tourism authorities underestimate the roots of the Palestinians in the country and portray an overall picture of a Jewish country, with very minor Palestinian/Arab heritage. Luckily there are organizations active to keep Simsim and other erased Palestinian villages alive. 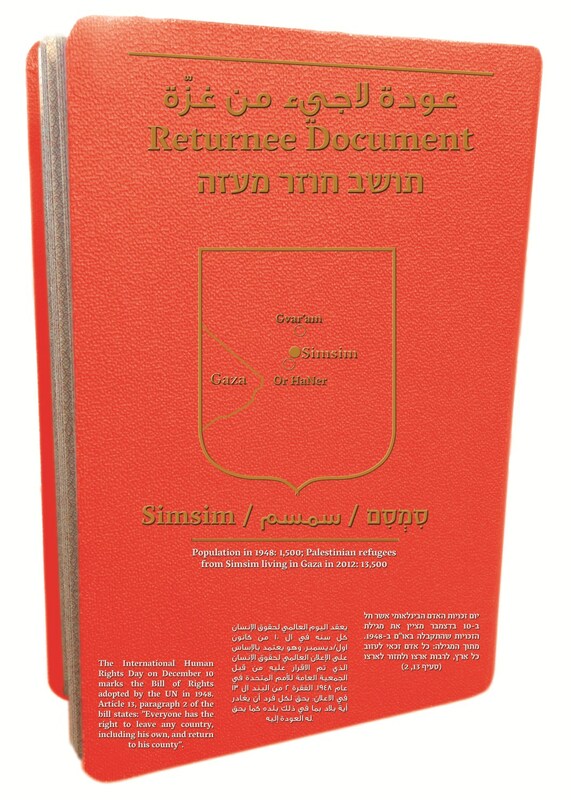 Zochrot (“remembering” in Hebrew) is an NGO working since 2002 to promote acknowledgement and accountability for the ongoing injustices of the Nakba and the reconceptualization of the Return as the imperative redress of the Nakba. About once every two months Zochrot hosts tours to the sites of destroyed Palestinian localities, which are free and open to the public. There are about a hundred participants at each tour, Arabs and Jews from different backgrounds — students, activists, artists, journalists, refugees, residents and others. ‘Palestine Remembered‘ provides a comprehensive source of information about the villages and cities that were ethnically cleansed, looted and destroyed by the Israeli army. At each town’s homepage, you will find pictures (both before and after 1948), the current status of the town, the Israeli colonies that occupy the town’s lands, a brief history of the town before and after the Nakba, detailed accounts of atrocities and any acts of terror, personal accounts from the refugees themselves, and above all live interviews from refugees reciting their experiences before, during and after al-Nakba. The organization is also hosting study tours to the erased villages accompanied by refugees, including Simsim. Fifteen activists, the majority of them Israeli Jews, carried ten IDs measuring one meter in size, each a different color, representing ten Palestinian localities that Israel captured and destroyed during the nakba and whose refugees are in Gaza: Majdal, Huj, Damra, Simsim, Kukhba, Najd, Isud, Jiya, Barbara, Bureir. Each document included a small map with the name of the demolished Palestinian village, alongside the names of the Israeli localities built on its lands. The Returning Gaza Resident ID also specifies the number of people who lived in the Palestinian locality in 1948 and the number of its refugees in Gaza in 2012 – nine times as many. The ID’s heading is in Arabic, English and Hebrew, and the phrase from the UN Declaration of Human Rights is printed at the bottom. When you google on pictures of Simsim you will only find piles of stones in a stunning scenery. Zochrot has a collection of such pictures taken during a tour to Simsim. Looking at the pictures it is remarkable, almost surreal, to see the sharp contrast between the flourishing landscape and some stones as the heritage of an erased village. The most clear sign of the presence of a Palestinian (Arab) population is found in a picture of an inscription on the wall of a well in the beginning of the last century with the text “Water for passersby”, a Prayer in memory of Prophet Muhammad, peace be upon him. Finally we found three pictures on the site of Palestine Remembered of the village and its inhabitants from before the Nakba, circa 1930. Unfortunately most memories and footage of the erased villages will be kept at hearts and homes of the Palestinian refugees in Gaza. It is highly important to tell the story of Simsim and all the other erased Palestinian villages over and over again for they will never be forgotten. In the meantime the villages, or what remains of them, are waiting patiently on the return of their original inhabitants. 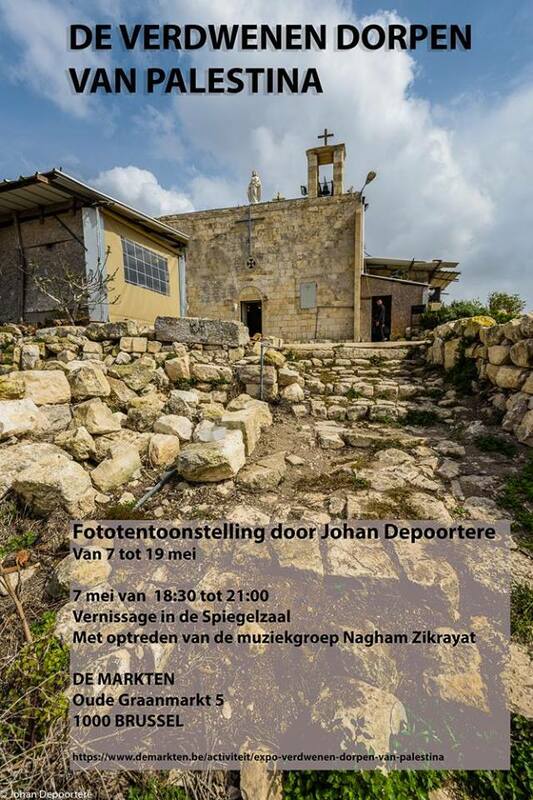 From 7 until 19 May there will be a photo exhibition from Johan Depoortere about the vanished villages of Palestine. Noga Kadman : Roots tourism – whose roots?